Amazon got everything on its holiday wish list. The Echo Dot, Amazon's cheapest smart speaker, was the most popular item on the company's online marketplace during its "biggest holiday season. 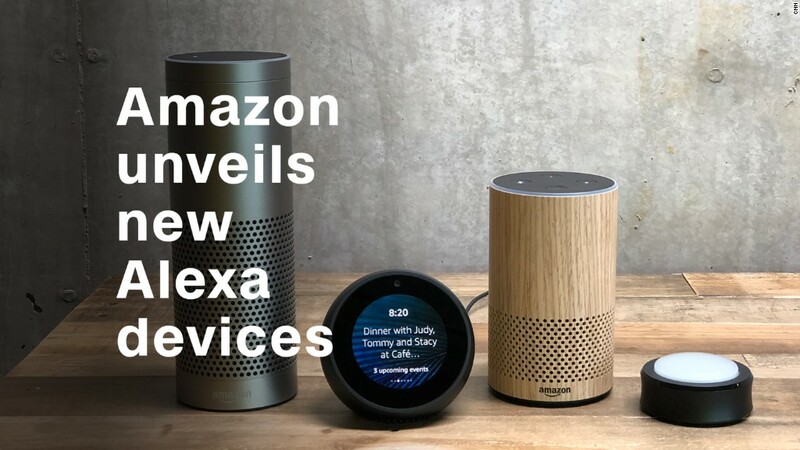 That's thanks in part to ... customers buying Echoes from their Echoes and other Alexa-enabled products. It's been a killer holiday stretch for Amazon. Thanksgiving and Black Friday sales made CEO Jeff Bezos a $100 billion dollar man. Cyber Monday was its biggest sales day ever. Amazon (AMZN) shares rose slightly Tuesday. It's now up 57% this year. Meanwhile, Amazon said Will Ferrell's movie "Elf" and Canadian singer Michael Bublé's album "Christmas" were top hits over the holidays. "The Walking Dead" was the most watched TV show over the holidays. Amazon celebrated its first Christmas with Whole Foods this year, and Whole Foods sold more than 500,000 pounds of sweets -- enough to feed Santa 6 million cookies throughout his Christmas travels, Amazon noted. Books -- both hardcover and Kindle -- were popular purchases too. Pete Souza's "Obama: An Intimate Portrait" was the best-selling non-fiction book and Dan Brown's "Origin" topped the fiction list.